If you believe several not yet substantiated accounts, you have a sliver of new information regarding the next episode of Sonic the Hedgehog 4. 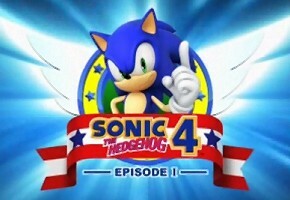 Word originally spread from the Sega forums that the latest edition of the UK’s Official Nintendo Magazine estimated the release for Episode 2 during next Summer. You may recall Episode 1 was originally scheduled for a launch about July this year. But when the game leaked to PartnerNET, fan outrage reached a boiling point, and focus group tests didn’t pan out well, Sega delayed the release to October. We bring that fact up because it was only about a month and a half ago that Sega held a fan feedback session for the game, and physics was again a theme, as it has been among more discriminating fans for months. If we’re only six to seven months out of the next release, how probable does it become that feedback turns into change, if it does at all? There’s also this: With Sonic’s 20th anniversary celebrated late in June, a Summer release for Episode 2 seemed all but a foregone conclusion, so ONM’s information may be nothing more than an educated guess. Also of note: This is apparently the only new information to have been released in ONM. We’re waiting to see if a scan surfaces that affirms the information. If you can provide one, we’d love to hear from you; please send us a news tip. For the moment, we’ve labeled it rumor, even though common sense dictates a near truth.